It’s here! The teaser trailer for ‘The Hunger Games: Mockingjay, Part 1’ just hit the web yesterday, but fans are already buzzing about the biggest questions that NEED to be answered when the final theatrical trailer comes out. Ten seconds in, an aircraft appears and begins to prepare for landing. Does it finish landing? We hope so! Definitely something to watch for in the next trailer. In one of his final roles, the late, great Philip Seymour Hoffman appears in this teaser trailer for a few short lines of dialogue. Will his tragic, sudden death force producers to cut down the role he was intended to have in the final trailer? From this early glimpse, it looks like Katniss is in some kind of revolutionary camp. We don’t get much of a sense of it in these quick images, but hopefully the longer trailer will show Katniss really settling into her new home for a good eight to 12 seconds. It wouldn’t be a Hunger Games teaser trailer without President Coriolanus Snow. 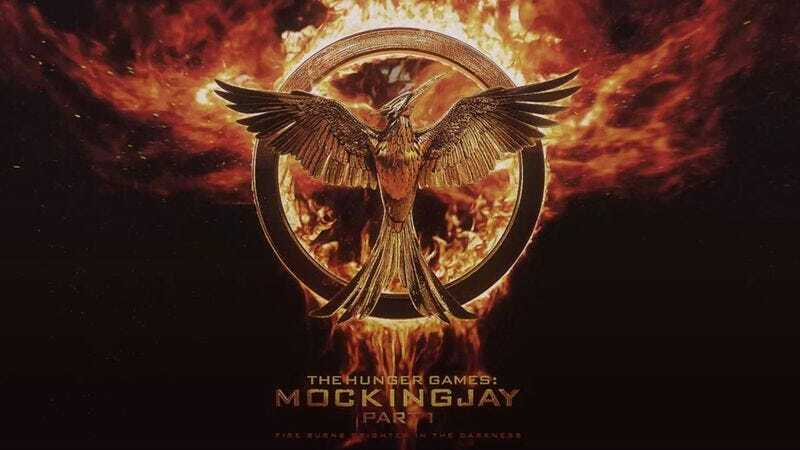 In his only appearance in the teaser, he bans the Mockingjay symbol—the emblem of the people’s rebellion. We get to see his orders begin to be carried out and then he disappears from the story entirely—or does he? Something tells us that when the real trailer finally hits theaters, we’ll be seeing a lot more of him. Will she?! It looks like we’ll have to wait until the this fall’s hottest theatrical trailer arrives to find out.